Following a disastrous education, at the age of 16, Anton joined the Merchant Navy in 1967 as a navigating cadet on an elderly cargo ship trading between Liverpool and Brazil. This was followed with a number of years working on small commercial and private vessels including the delivery of yachts, dredgers, tugs and unusual work boats (including a fifty five foot shrimp trawler from Wivenhoe, Essex to Chittagong, Bangladesh and the delivery of a dredger with a potting shed for accommodation to Northern Ireland). In 1977 Anton was selected to join an oceanographic company, Marine Exploration Ltd, engaged in Arctic research particularly into the behaviour of icebergs off the west coast of Greenland. In 1978 he joined the Transglobe Expedition as Marine Coordinator and undertook to locate and negotiate the sponsorship of the ice strengthened ship Benjamin Bowring. He recruited the 16 crew members and sailed aboard the ship for 3 years, covering over 50,000 miles at sea. In April 1981 Anton married the expedition ship’s cook Jill McNicol in Sydney, Australia. In 1983 he took over responsibility for the ship Sir Walter Raleigh operated by the youth project Operation Raleigh, inspired and run by explorer John Blashford-Snell. During his life at sea, Anton has travelled to all corners of the world and extensively in both Polar Regions. 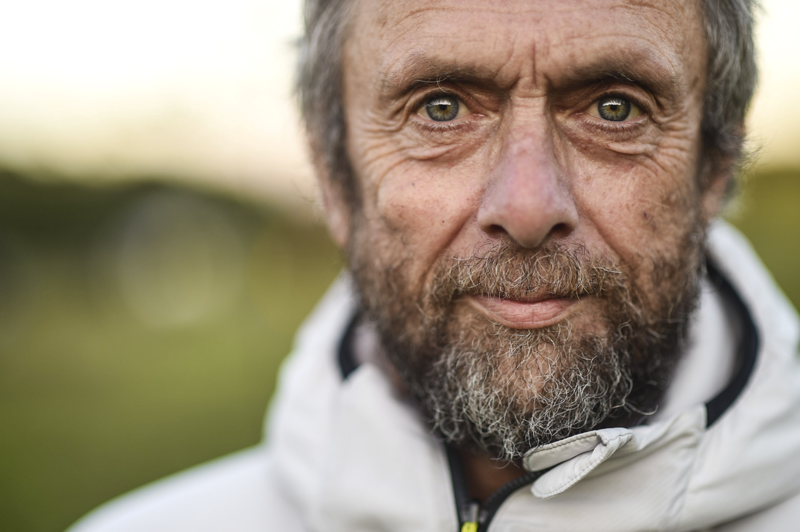 In recent years Anton has run his own transport and logistic company while continuing to work with Ran Fiennes for over 30 years on a number of projects including, most recently from 2007 to 2013, the first attempt to cross Antarctica in winter. Between 1811 and 1982, Anton’s family were ship owners from St Johns, Newfoundland. Among the many family owned vessels were the Terra Nova and Aurora which served Scott, Shackleton and Douglas Mawson in the early 20th Century.